Jacob sheep tend to mate only once a year (in the fall) so every year we have spring lambs to look forward to. Because Jacob sheep are a heritage breed and more natural, they give birth easily and rarely need human assistance, unlike modern production breeds. This year at Jacobs Heritage Farm we had eight lambs, including this little guy – who was a surprise! We didn’t realize that Libby, our youngest ewe, was pregnant! In this photo this lamb was just a few hours old and he was already frolicking. 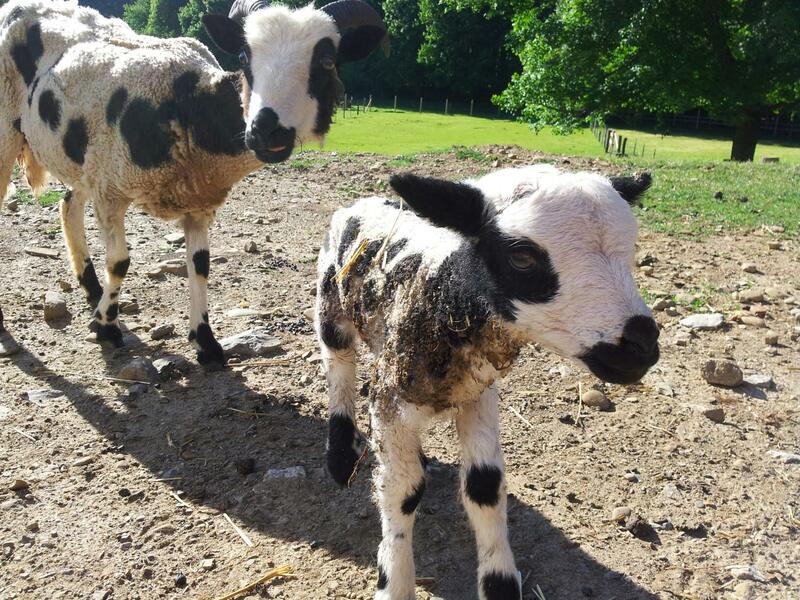 We tend to keep our flock of sheep fairly small so we frequently have Jacob sheep for sale if you would like to start your own flock, particularly lambs and ewes. Contact us for availability.